Next Article Where have all the cowboys gone? Sarah–only if I can be like you! Rachel–yeah, the whole laugh/cry thing gets blurred in the world of running, doesn't it? Thank you a million times over for organizing it all. That really IS the hardest part! You are so wonderful to do it. Alyssa–thanks, I needed some reassurance about my upper arm, and I shamefully posted to get it. (You obviously understand that flattery is the first rule of blogging.) And when are YOU going to start a blog? I'm getting impatient! Way to go! They do a similar type of relay up here, which goes from Skagway Alaska up to Whitehorse, Yukon. 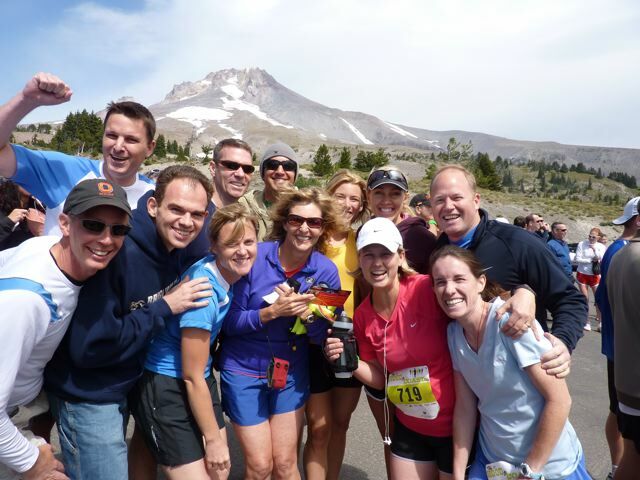 It goes up a mountain pass, and runners trade off for the 110 miles. But they do looong turns–14 miles, etc…so yours sounds more fun! you and derrick make me feel so lame! Of course Jeff just told me we have our legitimate reasons for not being so incredibly Fab like you and Derrick, but still. Kirsten, go for it! Do you run alot? I think I remember you getting into it a while back…No Jul, we are NOT wearing matching shirts, but wouldn't that make us superduper cool if we were? I noticed how similar they looked in the photo, too–yikes!…Cindy, yes, it was our first time to do HTC, and it was really fun to do it together. 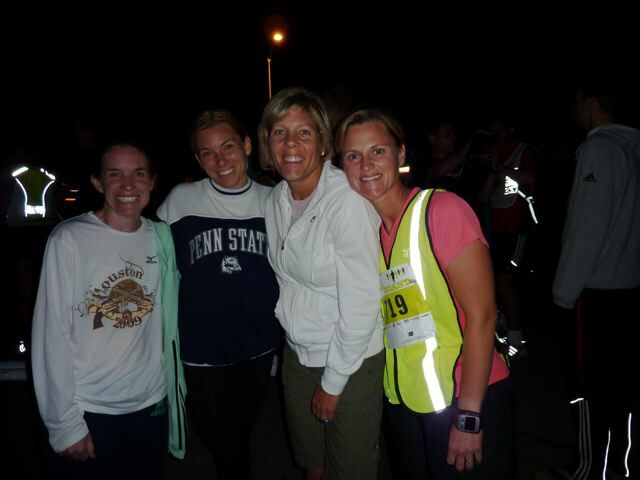 Are you running the 1/2 marathon next weekend? Let's talk! How fun that both of you are into the same sport! 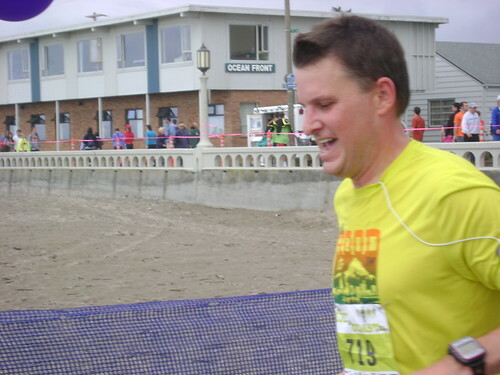 Was this your first time doing Hood to Coast? Great job, Jen & Derrick!! By the way, are you wearing matching shirts in the "whoop, whoop" picture? 😀 I heard Derrick has a good story to tell me about something on this trip – ? Yeah – You guys are amazing! I love the pictures!! I can't believe you got my brother to do that – we know you are the muscle in the family!! I'm about to cry and I'm not sure if it is because I'm laughing so hard or because I'm about to shed major tears of utter joy over the memory of that weekend. What a perfect description, which is probably why I can't seem to convince any of my family to ever participate…it doesn't sell itself very well, oh but if they only knew the sheer happiness it brings. And while you and Derrek were running in Oregon, Nyla and Jed were running their 180 mile relay in South Central Utah! Kudos to ALL of you! A GREAT way to spend a weekend!!! You crack me up Jen. I also loved the story Derrick told Rob about his experience. So funny! Why do we do it? You and Derrick are what Ian and I aspire to be. I wish we were as awesome, toned, athletic and motivated as you two. How did I not know that this was part of your weekend that you were gone? I thought we were friends. Secret keeper! Wow! You two are a little inspiring. Glad to see you're having fun. Tell your girls hi from Ella. I am SO IMPRESSED! I cannot believe you did that! Totally Whoop deserving. Nice job there, Mr. and Mrs. Smith!! 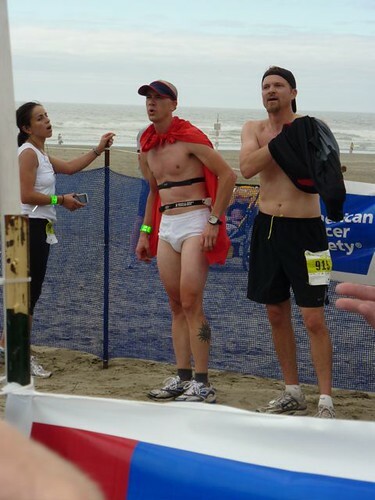 I don't know that I needed the Captain Underpants shot, hopefully he wasn't running near you and hopefully it was dark?? Some friends and I are contemplating doing the Wasatch Back next June–same sweaty/ carb loading/ lack of hygiene with 11 other people idea, mmm…you've most certainly given me some food for thought…Way to go! !